I like odd little random facts and information. My affinity for things that are strange is probably one reason I enjoy talking about Duck-Billed Platypus in all its idiosyncratic glory (a venomous mammal that lays eggs is quite quirky), or why I once spent hours reading-up on the complex ownership history of the Dr. Pepper brand (hence why sometimes places that only serve Coke or only serve Pepsi will both have Dr. Pepper). Therefore, when I saw this piece about why it is foolish to continue to wash clothes in warm water it caught my eye. 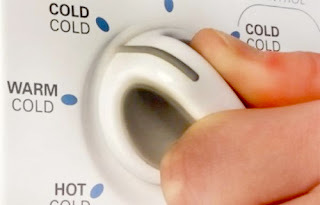 The article goes in-depth about concepts such as the energy conservation we can achieve from using cold water to wash clothes, how it helps protect clothes, and that while warmth is needed to clean things, advancements in all kinds of chemicals create the sort of, "Heat," needed by the friction of washing using something called surfactants. The key surfactants not too long ago were created by Proctor and Gamble and appeared in the then-novelty, "Tide Cold Water," detergent that now lots of other companies have created versions of as well. The piece goes into polymers, enzymes, and is otherwise really technical about something most of us probably never consider when we toss our clothes in the washer, add some detergent, and start it up. In conclusion, I like weird bits of trivia, which the article is full of, and also illustrates why we should all wash our clothes in cold water. Now, if you excuse me I'm going to crack-open this book I got from the library about the history of pinball that I hope to enjoy reading for no other reason than it looks fascinating--at least I'll read it as long as my son continues to enjoy his nap.